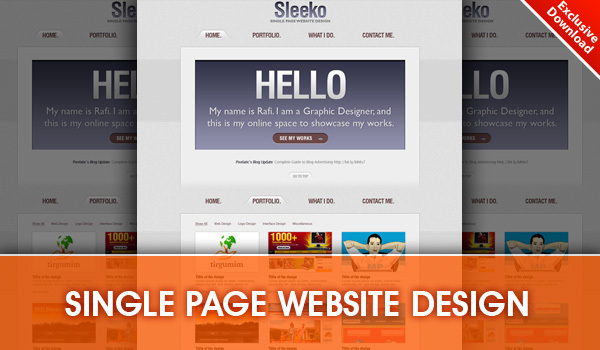 “Sleeko” design is a single page website designed in Photoshop format with all the layers organized in folders. The design is created on a 1600px wide canvas with the actual content body sitting in 960px width. Download the PSD for free to code and use it. The time is now 07:34 PM (GMT).